Another Beautiful Sunday in Paradise. The weather turned out to be EXCELLENT! Bruce is in Europe on Vacation, so Breeze took Today's' Picture. We had 2 Skaters and 7 Bicyclers. 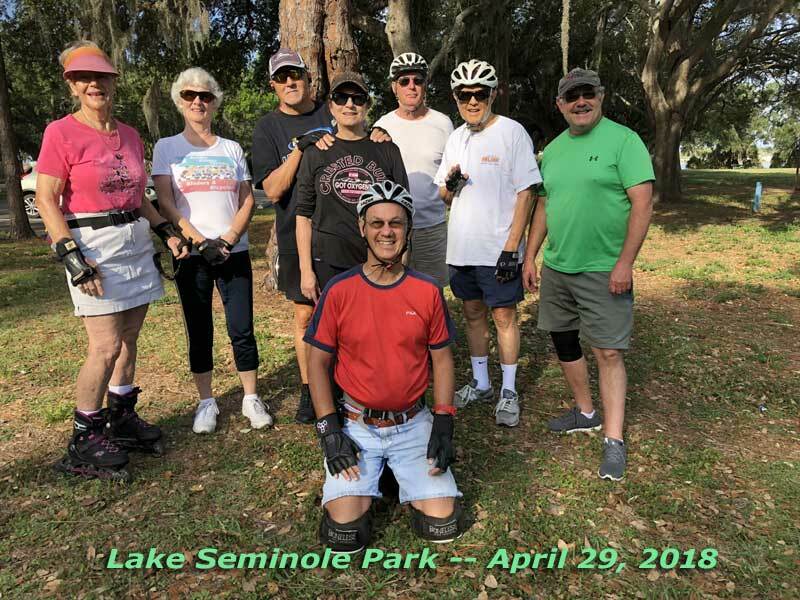 All did the round trip in and around the park and the Bikes rode through some of Lake Seminole's neighborhoods. Rounding off, most did 10 miles. We Brunched at Doe Doe's. All got in and seated after a short wait but managed to get seated together across two tables. The service was good, the coffee flowed freely and the food great as usual.